Creation of an autonomous agent A personal autonomous body that would automatically avoid obstacles on its way. The first working artificially intelligent program was written by Christopher Strachey for a machine known as Ferranti Mark I. The term artificial intelligence was coined by John McCarthy. Another pioneer John von Neumann developed the game theory, which helped the scientists working on artificial intelligence. As time progressed, serious research was conducted to develop knowledge&dash;based programs in mathematics, pattern recognition programs and automatic vehicles that can avoid obstacles. Very recently, Deep Blue, a Chess computer program played against Chess champion Garry Kasparov. Humanoid Robots are also being developed and commercialized in the last few years. Today you can get answers to your queries by using websites such as google.com and askjeeves.com . After the brief history, let us delve into the technologies that are used to design artificially intelligent systems. Artificial Intelligence lags common sense While modern robots can now replicate the movements and actions of humans, the next challenge lies in teaching robots to think for themselves and react to changing conditions. AI systems lag behind in the area which we often refer as common sense. There has been significant growth, e.g. in developing systems of non&dash;monotonic reasoning and theories of action, yet more new ideas are needed. The Cyc system contains a large but spotty collection of common sense facts. Programs can only learn what facts or behaviors their formalisms can represent, and unfortunately learning systems are almost all based on very limited abilities to represent information. Human beings respond to life situations not in a mechanical way but using lot of complex references and emotions. What we say as human mind is extremely complex and varies from person to person. Thus developing artificially intelligent systems that can mimic human mind is proving to be extremely difficult. Just imagine a scenario where machines would be talking and doing tasks that we do in our daily lives. They would be responding to our queries, not just in a robotic way, but with an intelligence that is quite similar to that of human beings. Can machines really become as intelligent as human beings? Is this possible? Scientists have been grappling with these questions since many decades. While a majority point out that machines can never really become intelligent, there are others who think otherwise. The two schools of thought are referred to as Weak Artificial Intelligence and Strong Artificial Intelligence respectively. Read on to learn about some of the surprising ways in which artificial intelligence impacts your life today, and see how it could change things in the future. Algorithm of Artificial Intelligence Early AI researchers developed algorithms that imitated the step-by-step reasoning that humans use when they solve puzzles or make logical deductions. What exactly is Artificial intelligence ? The science and engineering of making intelligent machines is Artificial intelligence. 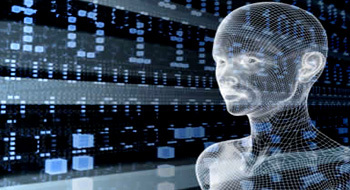 Artificially intelligent machines can take decisions, sometimes communicate like human beings. You might have seen in some movies, a system recognizing the voice or speech of a person. This is an example of artificial intelligence. Other examples are video games, computer chess, handwriting recognition etc. With the advent of computers and binary number coding, suddenly there was a spurt of interest in intelligent machines. But real research work started in 1950&apos;s by Alan Turing, who introduced the Turing test that predicts whether a machine is an intelligent or not. His test had some conditions though, which limited his theory. Neural network – An inspiration for artificial computational models They are usually presented as systems of interconnected "neurons" that can compute values from inputs by feeding information through the network. Bottom up approach &dash; building neural networks. Top down approach &dash; mimicking human brain using the expert systems. The human brain is made up of a web of billions of cells called neurons. AI scientists have tried to use the human neuron network as a model to construct the electronic circuits. An individual neuron is not intelligent, but a group of neurons transmit messages that are interpreted by brain accordingly. 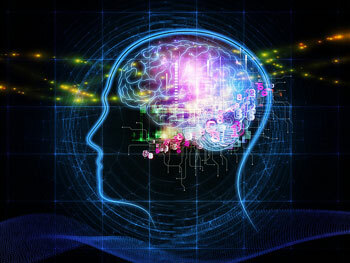 Neural systems have very strong pattern recognition capabilities. The problem with neural networks theory is that complex human emotions cannot be mimicked by machines. However, they are useful when machines such as Robots are working in dangerous or difficult environments. 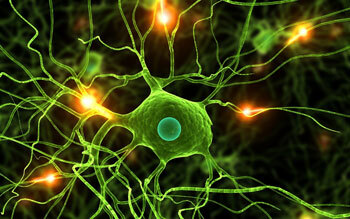 Neurons are a major class of cells in the nervous system whose main role is to process and transmit information. In vertebrate animals, neurons are found in the brain, the spinal cord and in the nerves and ganglia of the peripheral nervous system. Charts like the adjacent represent the logic of expert systems.In an artificial neural network, simple artificial nodes, called "neurons", "processing elements" or "units" are connected together to form a network which mimics a biological neural network. Using a similar set of rules, experts can have a variety of applications. 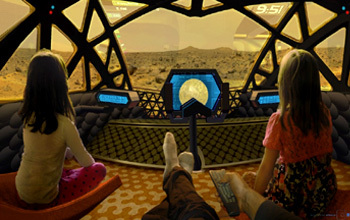 With improved interfacing, computers may begin to find a larger place in society. Pattern recognition Important application areas are image analysis, character recognition, speech analysis, man and machine diagnostics, person identification and industrial inspection. Genetic programmingIn the computer science field of artificial intelligence, a genetic algorithm (GA) is a search heuristic that mimics the process of natural selection. Fuzzy logic refers to logic used under uncertainty. For example, if you are standing at the door that separates the kitchen and dining room, and then the question arises as to your exact location. Are you 1% in kitchen and 99% in dining room? This is a tricky question to answer and fuzzy logic deals with such problems. 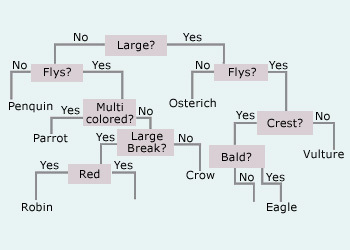 In daily life, fuzzy logic is used in washing machines. The in–built program senses what to do when the load increases or decreases in the washing machine. Logical AI is a simple form of Artificial intelligence. Here, the facts about a particular situation are made known to the system. When the system is asked about a particular scenario, it uses logical programming to get to the solution. Search programs are used to understand the various outcomes of moves in a game of chess. 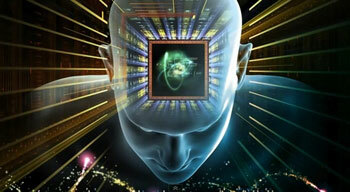 AI programs are written to find out the outcomes of various scenarios ranging from economics of business and games. AI programs that are used to find out patterns from small data, or insufficient data can be classified under pattern recognition. For example, a vision program may try to match a pattern of eyes and a nose in a scene in order to find a face. More complex patterns, e.g. in a natural language text, in a chess position, or in the history of some event are also studied. Ontology is the study of the kinds of things that exist. In AI, the programs and sentences understand different types of objects, and studies the types in detail along with their basic properties. Genetic programming (GP) is an evolutionary algorithm-based methodology inspired by biological evolution to find computer programs that perform a user-defined task. Genetic programming is a technique that analyses the various living organism&apos;s genetic code and finds out the best outcome when two programs are matched. Fraud Detection System Artificial Neural Networks, Genetic Algorithms, and Fuzzy Logic are the most useful artificial intelligence techniques for detecting fraud. AI, though not in advanced forms, is being applied in various real life situations. Some of them are discussed below. In today&apos;s fast paced world, it is humanly not possible to check each and every transaction or dealing to check whether cheating has taken place or not. Thus credit card providers, banks, telephone companies use AI systems to detect cheating. Many people are using web for buying items, thus it becomes important to check whether the right person is doing the transaction. Some people steal credit card information and make fraudulent transactions. AI can be useful here as it uses earning algorithms to construct profiles of customer usage patterns, and then use the resulting profiles to detect unusual patterns and take the appropriate action (e.g., disable the credit card). In an attempt to overcome limitations inherent in conventional computer-aided diagnosis, investigators have created programs that simulate expert human reasoning with AI. 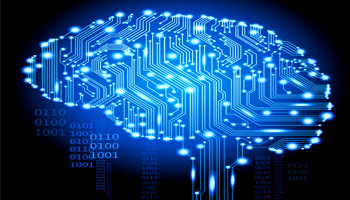 As a subfield in artificial intelligence, diagnosis is concerned with the development of algorithms and techniques that are able to determine whether the behavior of a system is correct. If the system is not functioning correctly, the algorithm should be able to determine, as accurately as possible, which part of the system is failing, and which kind of fault it is facing. 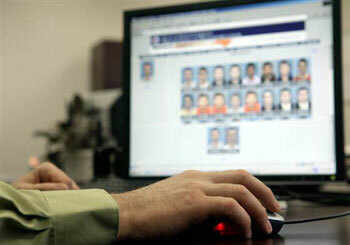 The computation is based on observations, which provide information on the current behavior. 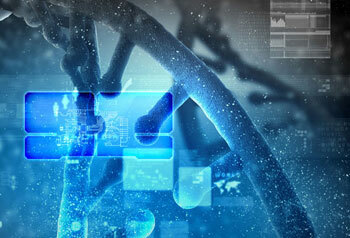 There are AI programs to detect problems not only in machines but also in living organisms. 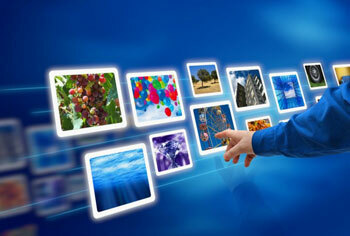 An example is the help tools inbuilt in various computers and Xerox machines that detects failure and recommends action. AI systems help doctors in finding out the exact problem of the patients. Eye doctors use various tools to correctly identify the nature of eye problem and thereby recommend either treatment or surgery. Robots are mostly used in industry, as the work is often routinous and linear. Car manufacturers for example use robots, as there are series of steps involved in assembling a car that are not only same but also require constant alertness. Human workers get bored or fatigued when doing the same job again and again. Humans can commit errors, which can create faults in the car. 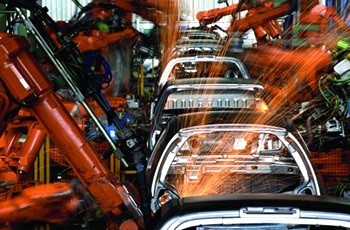 Thus, in mass production industries such as car making, large and complex robots come handy in producing products. Robots are used in the processes of painting, welding and assembly of the cars. The tasks are same again and again and robots perform them without any error. Industrial robots come in different shapes and sizes suiting the needs of the particular industry. AI is one of the favorite topics with movie makers. Many Hollywood films such as – I, Robot, AI, Matrix, and Star wars have shown AI systems or robots either taking over humanity or serving them. Virtual Reality using AI Incredible advances are taking place in computer science and information theory. Today’s personal computer has calculating power far exceeding that of all 1950s computers put together. Optical character recognition: Used in cheques, examination sheets where the characters are recognized by the computer. Speech and face recognition: Some programs are in–built in personal computers, but speech and face recognition are mostly used in sensitive military areas and also in hospitals etc. Robotics: a field where machines are made to work in different environments. Robots are being developed that look like human beings in structure. Artificial Life: simulating life processes in a computer simulation. Chatterbot: a computer program designed to simulate an intelligent conversation with one or more human users via auditory or textual methods. 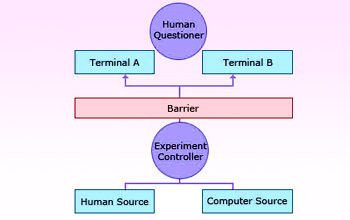 Cybernetics: study of computer controlled machines such as automata and robots. Virtual Reality and Video Games: AI has found its greatest use in computer games and virtual reality. For example training pilots or police using virtual reality has become a well known application. The field of artificial intelligence promises to give machines the ability to think analytically, using concepts and advances in computer science, robotics and mathematics. The philosopher John Searle says that a non&dash;biological machine being intelligent is simply not possible. He came up with a thought experiment which is also known as the Chinese room argument. Imagine a situation where you are interacting with a machine in Chinese and it responds correctly to all your questions. Next imagine a person who doesn&apos;t know Chinese sits inside the computer with a Chinese dictionary and responds to your questions that you ask. Now John Searle argues that there is no difference between the computer and the person, as both don&apos;t know the meaning of any word, all they are doing is using defined programs to respond. Thus this proves that Computers can never become intelligent. AI lags human emotions While mankind has already made amazing strides into the field of artificial intelligence, there's much more to come in the future. Artificial intelligence has made lot of progress and it has been widely used in various walks of life. Yet, the dream of machines having human like intelligence is still far away.